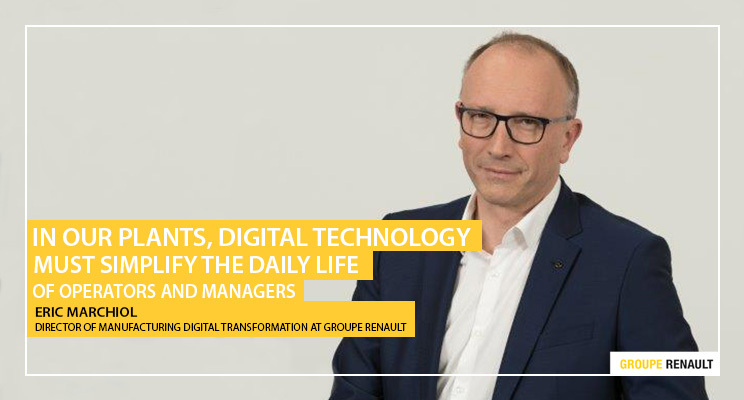 Eric Marchiol, Director of Manufacturing Digital Transformation at Groupe Renault, works on the performance of all of the group’s plants. He shares his vision of the plant of the future with us - 100% focused on customer satisfaction - and reminds us that its competitiveness depends above all on the men and women who keep it running. Renault unveiled its new brand identity at the Geneva Motor Show earlier on in the year. It features an upgrade to the logo and above all a powerful new tagline that emphasizes the Renault design renewal under way since 2012. To probe this important new development, we asked five questions to Guillaume Boisseau, the Renault group's brands director.